Did you know that 5,922,000,000 Google Searches were made per day in 2013? With around 91% of adults using search engines to find information on a daily basis, it’s increasingly important for businesses to make sure they are using SEO, to ensure their websites can be easily found on search engines. When implemented correctly, SEO can bring more traffic to your website, which in turn can lead to more customers, more conversions and more sales. And here’s the best thing: it’s cheap and easy to do. 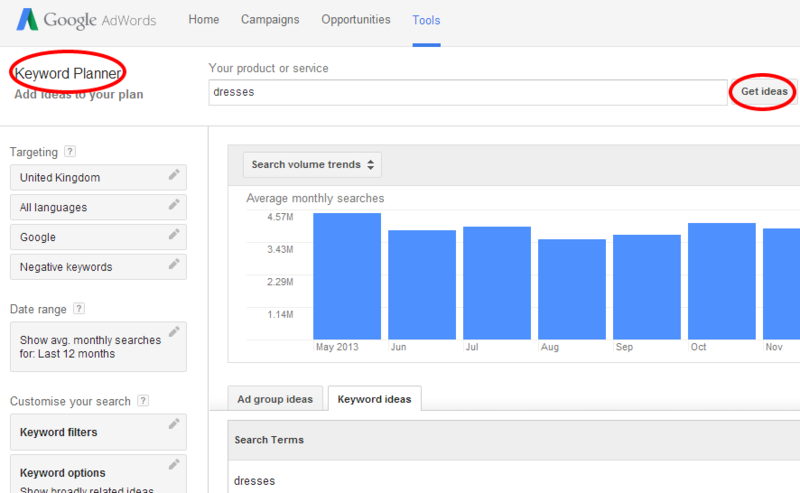 Use Google AdWords – a free and easy to use resource that helps you plan the keywords your company should be targeting. 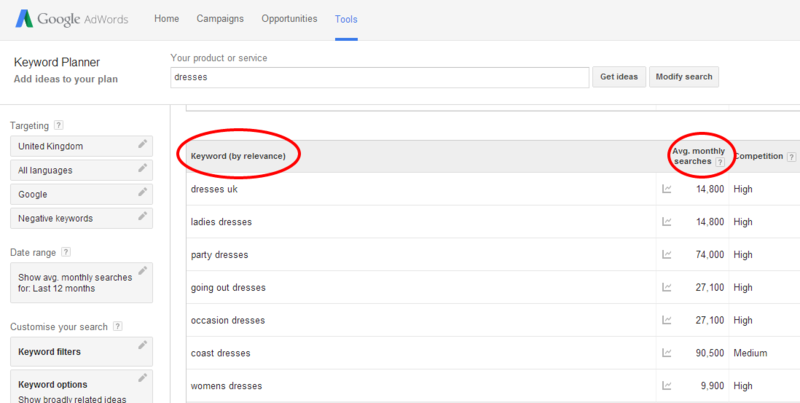 By using Google AdWords’ Keyword Planner, you can see a list of the most frequently searched keywords relating to your site. This tells you which keywords you should be mentioning frequently on your website, blogs and social media pages. Keep your keyword density at around 2% – anything higher may result in Google thinking your website is spam. You can use this really useful Keyword Density Analyzer tool from SeoBook to check the keyword density of a particular URL or piece of text. You can also take a look at SeoBook’s other really useful SEO tools for beginners. Target your local area – people are more likely to search for products, services and businesses in their local area. For example – people living in Newcastle upon Tyne looking for a cocktail bar are much more likely to search for ‘cocktail bar in Newcastle upon Tyne’ than just ‘cocktail bar’. You should also set up and optimise your Google Places for Business page, as well as a Google + Local page, so that your local business can be more easily found on Google. Make sure you use your keywords in your title tags, meta descriptions, image ALT attributes, h1 tags and page headings. When Amazon.com once slowed down by 1/10 of a second, it caused them to lose a whole 1% of their revenue. And when Google once slowed down by 0.5 of a second, their total traffic dropped by a staggering 20%. Why? Because the speed at which your website loads can actually affect your Google ranking. That’s because the loading speed of your site affects your user experience. Google moves slower pages down in its rankings, because if your page is loading slowly and giving your users a poor experience, they will be less likely to use Google as a search engine. Furthermore, if your pages are loading slower than your competitors’, they will be more likely to use your competitors’ pages. 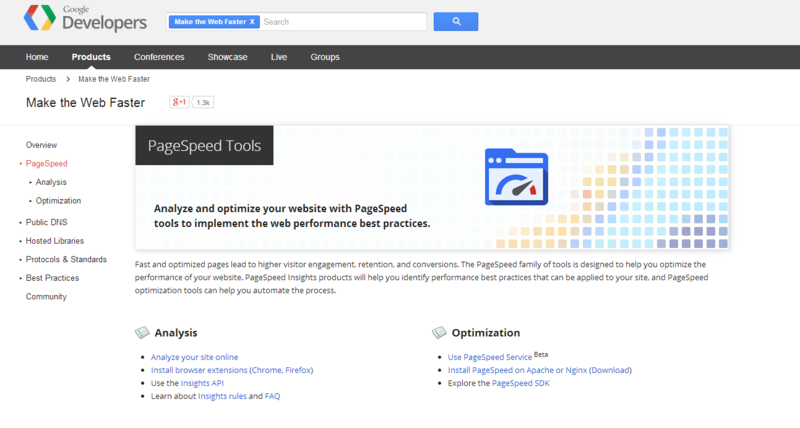 To help business owners, Google has invented PageSpeed – a tool where you can check your page’s speed for free. Google also gives you free advice on how you can optimise your page’s speed and which tools to use for this. By increasing your page loading speed and therefore user experience, people who click on your page will be more likely to stay on your page and even visit your page again. Google considers over 200 different ranking factors when it comes to ranking your site, and although nobody is 100% sure what these different factors actually are, we are pretty confident that one of these factors is the quality of links that link to your site. If popular or trustworthy sites are linking to your page, then Google assumes that your page must be popular or trustworthy too. So try to get trusted pages to link to your site. But how do you do this? Find out who’s linking to your competitors: To do this, simply type in link: followed by your competitor’s domain into Google, and it will produce a list of these sites. For example link:www.competitor.com. Now you know who to target. Comment on and link to other sites and blogs – they will be likely to return the favour. Make sure you are active on social media – posting, sharing, tweeting and liking etc. The more you do this to others, the more likely they will be to do it back to your business. If you can afford it, you can find not-for-profit .edu sites which are looking for sponsors. Links from .edu sites are thought to be highly valued by Google. Use Moz’s Open Site Explorer to check if a site is worth getting a link from. 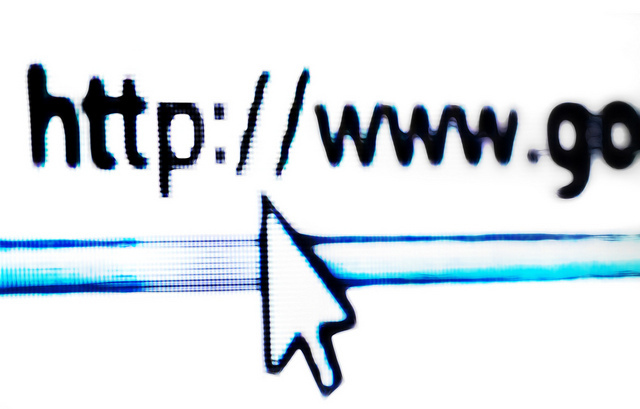 Simply enter a site’s URL and the useful tool will examine its linking profile for you. Moz also offers you a useful ‘How To’ about the tool. The use of social media to find websites is increasing on a daily basis – even faster than the use of search engines. According to statistics recorded on 1stJanuary 2014 by Statistic Brain, Twitter’s search engine function deals with 2.1 billion queries daily. Use Facebook, Twitter, Instagram, and Google + at least. Be active – use them daily. Post competitions, upload interesting pictures and videos, write thoughtful articles and start debates – you want to get people talking and get your customers involved so that they remember you. Use social media as a way to inform your followers what is happening with your company – showcase new products, report company updates and any offers you may have going on – people want to know what’s happening. Tweet and share blog posts and articles from other, respected bloggers and companies in your niche – they may do the same with your posts and articles. Build up a rapport with them. By following these 4 easy steps correctly, your website should see an increase in your Google ranking, an increase in traffic to your website, and an increase in conversions. If you need a helping hand with your SEO, don’t hesitate to take a look at Union Room’s SEO services, or why not give us a call – we may be able to help you.